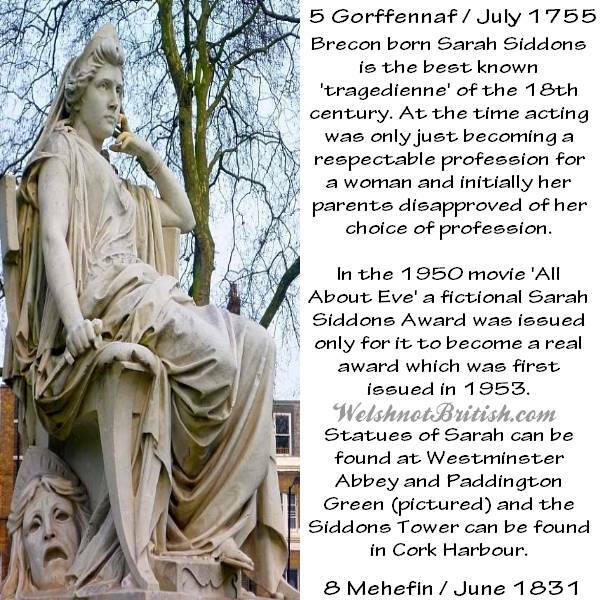 1831 - Sarah Siddons, (see featured post). 1848 - William George Trice, organ builder born in Cardiff. Wiki (Italian).